Many more details at the link. These scumbuckets are as bad as the Clintons and I doubt any of them will be embarassed much less punished. CHINA WILL LIKELY replace the USA as world leader, said Bill Clinton in a recent Washington Post interview. It is just a matter of time. Clinton should know. He has personally done more to build China's military strength than any man on earth. Most Americans have heard of the so-called "Chinagate " scandal. Few understand its deadly import, however. Web sites such as "Chinagate for Dummies" and its companion "More Chinagate for Dummies" offer some assistance. Unfortunately, with a combined total of nearly 8,000 words, these two sites - like so many others of the genre - offer more detail than most of us "dummies" can absorb. For that reason, in the 600 words left in this column, I will try to craft my own "Idiot's Guide to Chinagate," dedicated to all those busy folks like you and me whose attention span tends to peter out after about 750 words. When Bill Clinton took office in 1993, China presented little threat to the United States. Chinese missiles "couldn't hit the side of a barn," notes Timothy W. Maier of Insight magazine. Few could reach North America and those that made it would likely miss their targets. Thanks to Bill Clinton, China can now hit any city in the USA, using state-of-the-art, solid-fueled missiles with dead-accurate, computerized guidance systems and multiple warheads. China probably has suitcase nukes as well. These enable China to strike by proxy - equipping nuclear-armed terrorists to do their dirty work, while the Chinese play innocent. Some intelligence sources claim that China maintains secret stockpiles of chemical, biological and nuclear weapons on U.S. soil, for just such contingencies. In 1997, Clinton allowed China to take over the Panama Canal. The Chinese company Hutchison Whampoa leased the ports of Cristobal and Balboa, on the east and west openings of the canal respectively, thus controlling access both ways. A public outcry stopped Clinton in 1998 from leasing California's Long Beach Naval Yard to the Chinese firm COSCO. Even so, China can now strike U.S. targets easily from their bases in Panama, Vancouver and the Bahamas. How did China catch up so fast? Easy. We sold them all the technology they needed - or handed it over for free. Neither neglect nor carelessness are to blame. Bill Clinton did it on purpose. As a globalist, Clinton promotes "multipolarity"-the doctrine that no country (such as the USA) should be allowed to gain decisive advantage over others. Federal investigators later concluded that China made off with the "crown jewels"of our nuclear weapons research under Clinton's open-door policy - probably including design specifications for suitcase nukes. In his book The China Threat, Washington Times correspondent Bill Gertz describes how the system worked. Defense contractors eager to sell technology to China poured millions of dollars into Clinton's campaign. In return, Clinton called off the dogs. Janet Reno and other counterintelligence officials stood down while Lockheed Martin, Hughes Electronics, Loral Space & Communications and other U.S. companies helped China modernize its nuclear strike force. "We like your president. We want to see him reelected," former Chinese intelligence chief General Ji Shengde told Chinagate bagman Johnny Chung. 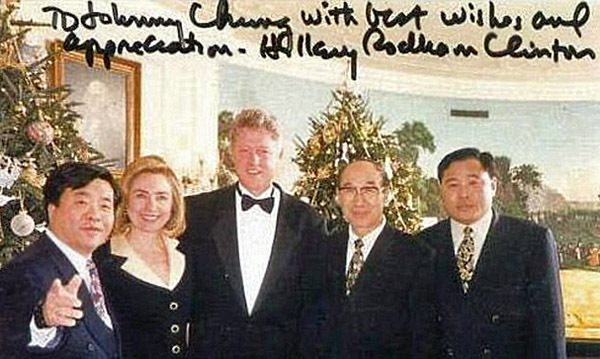 Clinton received funding directly from known or suspected Chinese intelligence agents, among them James and Mochtar Riady who own the Indonesian Lippo Group; John Huang; Charlie Trie; Ted Sioeng; Maria Hsia; Wang Jun and others. 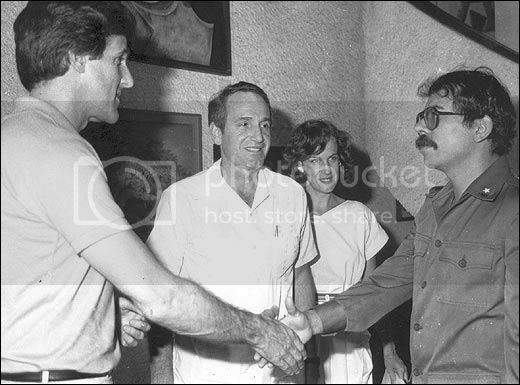 Commerce Secretary Ron Brown served as Clinton's front man in many Chinagate deals. When investigators began probing Browns Lippo Group and Chinagate connections, Brown died suddenly in a suspicious April 1996 plane crash. Needless to say, China does not share Clinton's enthusiasm for globalism or multipolarity. The Chinese look out for Number One. "War [with the United States] is inevitable; we cannot avoid it," said Chinese Defense Minister General Chi Haotian in 2000. "The issue is that the Chinese armed forces must control the initiative in this war." Bill Clinton has given them a good start. to frustrate the anti-Communist policies of Ronald Reagan. And Joe and his wife have given their blessing! 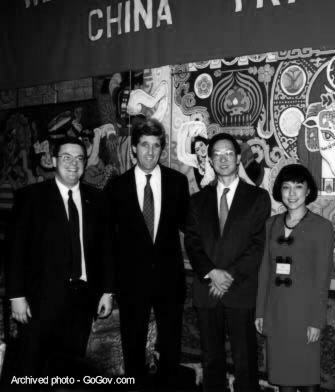 John Kerry himself led trade missions to China in the 90’s. for the purpose of helping U.S. tech companies move to China. He worked with Boston Capital and a guy named Paul Marco. 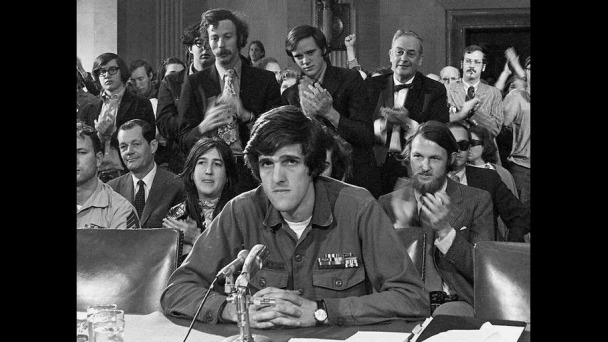 Kerry’s son is only following in his father’s foot steps. It is mega corruption. Many more details at the link. These scumbuckets are as bad as the Clintons and I doubt any of them will be embarrassed much less punished. another bribe mechanism pioneered by hildabeast setting her SIL, Marc Mezvinsky, in a billion dollar Eaglevale hedge fund scam. granted, mezvinsky's Eaglevale Fund was mainly just a shakedown of regular Clinton Foundation donors who may have been willing to take a loss to help establish respectable front of global citizenship for the father of hildabeast’s grand children. on the other hand, it looks more like biden & kerry’s kids were just a conduit benefiting from a $ billion dollar bribe to feather the nest for easy going on china interests? these pols have raised the bar from renting out the Lincoln bedroom to party pals or charitable tax deductions for bubba’s boxers. Scweizer’s book is great. I’m surprised it isn’t talked about more often. Joe Biden likes to cry poor while he lives on a big spread and both of his sons (one now passed) became lobbyists. Whose influence do we think they were selling? Nothing to see here, move along. It’s been totally ignored by the MSM. What the heck is going on in that family?! If two of Obola’s first reports sons were in on and profiting from this deal, Obola had to know about it and be dipping his beak into it, too. Nothing will be done and the show will go on. Maybe Robert Mueller will investigate. Maybe the democrats in congress will investigate. Maybe celebs will call for their arrests. Literally treason and nothing is ever done.